Come and visit the Capitoline Museums to see wonderful masterpieces of art and archeology! 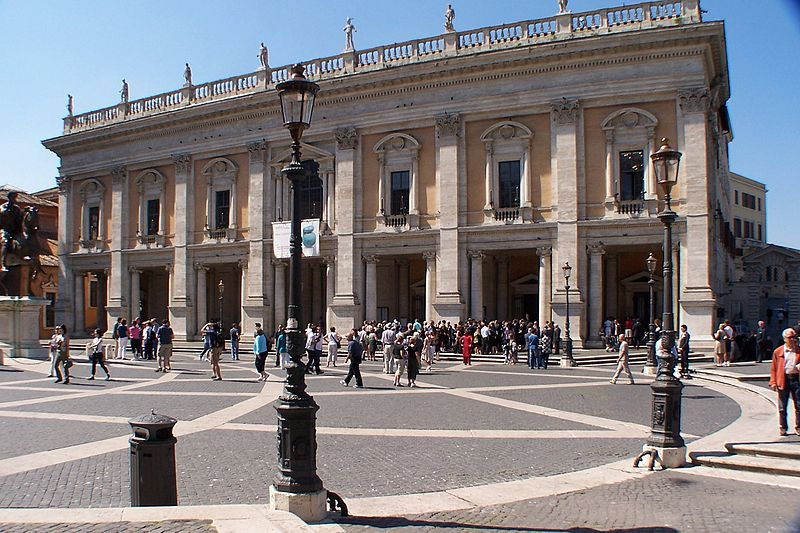 Come explore the beauty of ancient art, sculptures, and paintings at the Capitoline Museums! The Capitoline Museums are broken up into three smaller buildings, all located on the top of Capitoline Hill with Piazza del Campidoglio in the center. The three buildings are the Senatorial Palace, Palace of the Conservators, and the New Palace. In 1471, Pope Sixtus IV gave a large collection of ancient bronze sculptures and statues to the Capitoline Museums. In the past few centuries, the museums have accumulated ancient artifacts, art, coins, and jewels. The Senatorial Palace was originally built in the 12th century as a fortress. It was later remodeled in the 16th century with Michelangelo’s designs. Of the three main buildings, the Senatorial Palace is the oldest, with the name deriving from the palace’s original purpose as a senate house. Today, it holds ancient pieces of Roman history. Some of these include architectural pieces from the Roman Forum in the 1st century AD or a sculpture of the Roman god, Veiovis. The Palace of the Conservators was built during the Middle Ages for the local Roman magistrate. As well, Michelangelo remodeled this palace with Corinthian and Ionic columns, a new portico and much more. The Palace of the Conservators is the home to many works of art such as frescos depicting Roman history, sculptures of Popes, and religious paintings. The third building is the New Palace which was completed in 1654. It is an exact copy of the Palace of the Conservators with the same design of Michelangelo. It holds classic sculptures of Roman and Greek gods such as Apollo and Eros. Visitors can come tour the Capitoline Museums with a guided tour or on their own with a small admission fee. This site is a must see for anyone visiting Rome as you will step back into history and experience ancient art and artifacts! Interesting museum, you can see a very unusual things and feel the spirit of history.